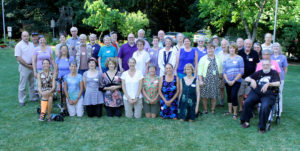 Dozens of staff members and volunteers from the Dispute Resolution Center of Thurston County (DRC) came out to honor Terry Teale as the Volunteer of the Year at their annual picnic on July 25, 2018. The DRC is a non-profit organization that relies on volunteers to carry out its mission of finding ways to foster peace in the community. According to their mission, the DRC empowers people to resolve their disputes by providing conflict resolution services and trains community members in those skills. After speaking with Terry, it’s clear this award has been a long time coming. Before getting involved with the DRC, Terry spent 22 years working for the state as the executive director of the Council of Presidents (COP), an association of Washington’s six public baccalaureate institutions. There, she worked to bring people who were natural competitors together around a table to find common ground. But to truly understand Terry’s dedication to service, you have to go back to her childhood, where she was raised by two foster parents in California. She says she was lucky to land in such a supportive, healthy home. Her foster father was a physician, who she says understood how to care for people not just physically but emotionally. Her upbringing would instill a steadfast value system that would guide her down a path of service and community. Terry moved to Olympia in 1997 and it has since become her forever home. 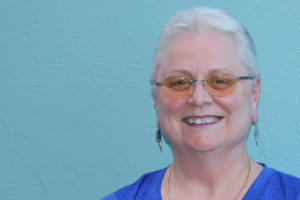 It wasn’t until 2010, after Terry retired, that she began her service with the DRC when she signed up for their 40 Hour Professional Mediation Training. The DRC offers several training opportunities for interested volunteers and community members in the practice of mediation, both basic and advanced, as well as custom-designed training for the workplace and community. Terry says anyone who might want to become a better communicator or team member, or simply just learn how to deal with conflict in a more productive way should sign up. Terry quickly became a certified mediator, and served seven years as a member of the board. 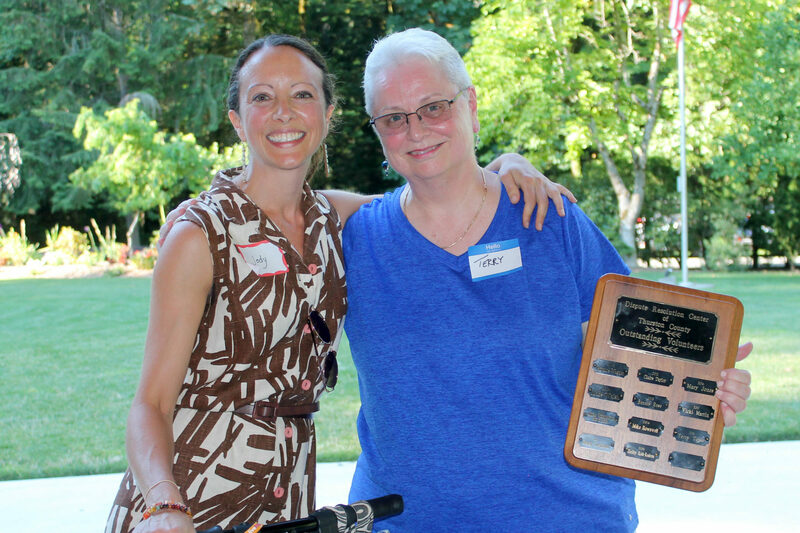 She says her time on the board was extremely rewarding as she saw the succession of the DRC founding director, Evan Ferber, while witnessing the small, grassroots organization grow and modernize into what it is today. The volunteer of year award is decided over a six-week period by the DRC board members. DRC Executive Director Jody Suhrbier says they look at the breadth and depth of service, as well as length of time and how deep their commitment is to the organization. They also cannot honor a current board member, which is why they had to wait until 2017 when Terry finished her board service to give her the much overdue recognition. Suhrbier says Terry’s commitment to service isn’t forced or contrived, but is reflective of how she conducts all facets of her life. Terry is extremely gracious and repeatedly touts her admiration of her fellow volunteers. She says the DRC has a unique ability to attract extremely dedicated, strong volunteers, many who work quietly behind the scenes to make sure events like the annual fundraiser, The Toast, go off without a hitch. “It’s such an honor for me to get this acknowledgement, because I look around at all the people that I serve with and think any one of them could be the outstanding volunteer,” she says. 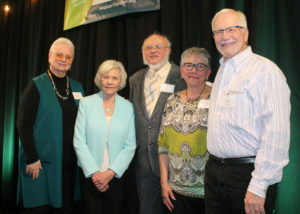 Suhrbier says the organization is extremely grateful for volunteers like Terry and that she’s added an extremely valuable presence and perspective since joining in 2010. For more information on upcoming training, visit the DRC website or call 360-956-1155.